Cattaneo Commercial are pleased to announce that the Department of Coffee and Social Affairs have taken their first shop outside central London. 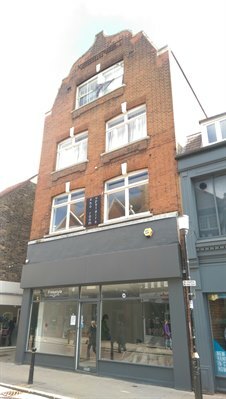 Situated on the busy thoroughfare passing between Clarence Street and Market Place, 14 Thames Street in central Kingston comprises a shop over two floors. if you are looking to dispose of a commercial property in Surrey/SW London please do not hesitate to contact either Andrew Armiger or David Keates on 020 8546 2166.